Teach Overseas classified Online: Are you trying to learn conversational English online? Are you trying to learn conversational English online? Are you trying to learn conversational English but find yourself getting stuck in a rut with no results? 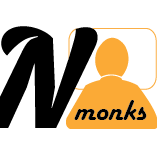 Visit Native Monks and sign up for our interactive and personalized classes with a dedicated English tutor. Each lesson is tailored to suit your learning capabilities and is conducted by an English tutor that you choose. Lessons are privately held to give you a complete custom experience and to monitor your progress with each session. Booking a lesson takes less than a minute, and what's more, you get to choose who you want to learn from, from our database of hundreds of qualified and experienced English tutors. You can choose your tutor based on their experience, location and the languages they converse in. Shortlist your "Favorite Tutor" so that all your classes can be taken by them. Visit https://nativemonks.com/english-classes to start learning English from now!